The innovative Afag feeding technology is essentially based on two supporting pillars. The first is the 3D-CAD-supported design and the milling of polyamide, aluminium and special steel. The other pillar of the Afag technology is based on the system of the vibration force balancing of vibratory feeders. The reactive forces are balanced out by vibrating counter-weights. Spurious vibrations are reduced to a minimum. This world-wide patented and unique principle is only available from Afag. Vibration force compensation of vibratory feeders. 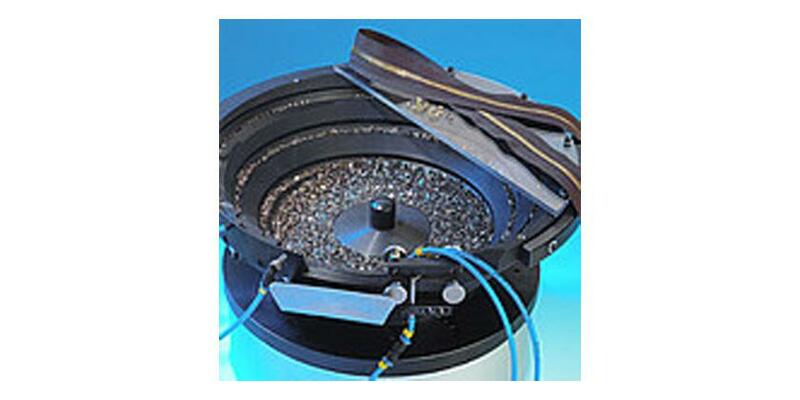 An essential element of the innovative feeding technology is the 3D-CAD feeder-bowl-technology. Polyamide, aluminium or for special applications also stainless steel feeder bowls are designed on 3D-CAD and manufactured on up-to-date 5-axis milling machines. This technology guarantees the precise adaptation to part specific geometries and tolerances and leads to a 100% reproducibility of the conceived solutions.